Google’s new Chromebook computers now have a chance of being sold on high streets soon even though Google announced earlier that they will only be sold online. Google said that the laptops made by Acer and Samsung which run on Chrome O.S. will go on sale in USA, K and five other European countries from 15 June via the web. UK partners were announced in San Fransisco as PC World and Amazon.co.uk. Chromebook is a different type of computer that targets the less tech-savvy people. So, Google said “these launch retail partners will provide users with information and guidance to easily help them identify and purchase the right Chromebook for them.” The company added that “We’ve partnered with these online retailers to get devices in to the hands of users as quickly and easily as possible, but we’re always looking at how best to serve our customers”. Chrome O.S. is a version of the Chrome web browser which will allow people to do all their computing tasks via the internet rather than some expensive third party software. Samsumg Chromebooks prices will start from £349. Acer has not yet announced their prices. 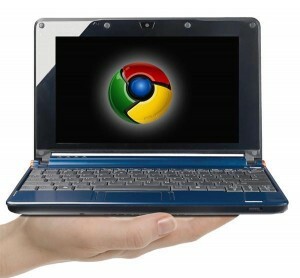 Google has already launched the Chromebook on 11 May, 2011.